Completed forms will be processed as quickly as possible. Please allow at least 5 working days. Also appreciate that your Credit Application may be unsuccessful. There are many possible reasons, why we may choose not to trade you on Credit Terms. These decisions are made following established risk management procedures without favour or prejudice. Cash or Credit Card arrangements will always be accepted. Need a list of reputable Contractors to place your concrete? 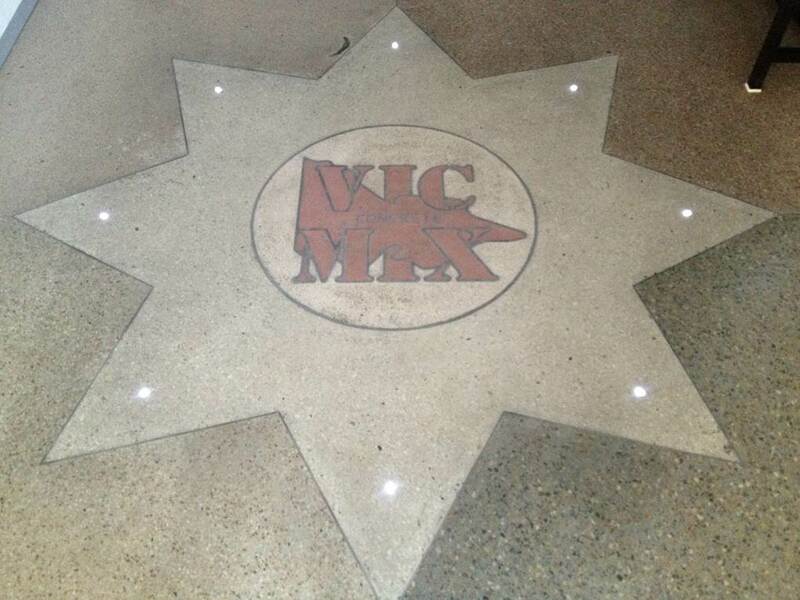 Then contact us on: 03 8792 3100 or drop us an email at: decorative@vicmix.com.au. 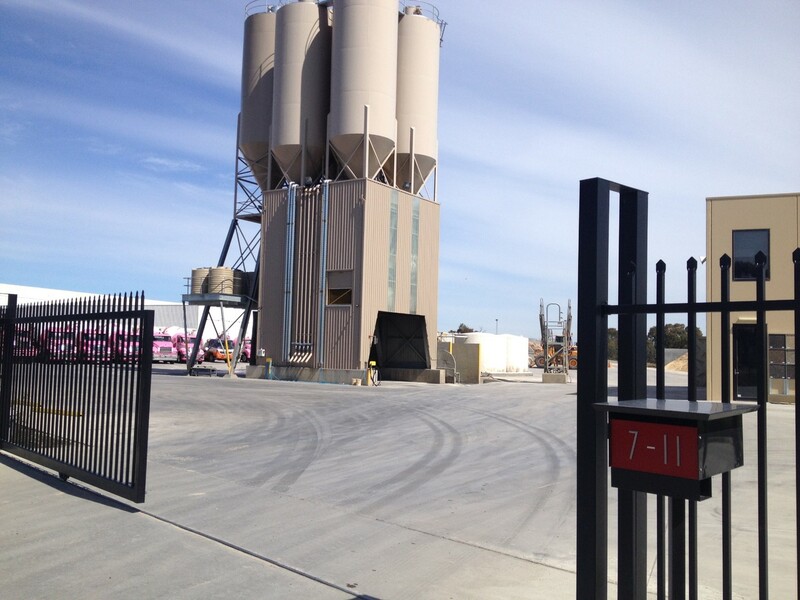 We can supply you with contact numbers for Concrete placers, grinders, sand blasters and other useful trades to help you get the best possible finish on your project. Another resource we can offer you is access to a database containing addresses for finished projects. Simply tell us which products you are interested in, along with your suburb, and we will endeavor to provide you with a list of finished projects for you to go and visit. We endeavor to record accurate addresses of projects we supply, but we do not have the resources to check these details, visit the jobs, or screen the good projects from the not so good. Additionally, the finished job may not be visible from the street as it may be a pool surround or other structure located in the rear of the property or within a private structure. The majority of addresses are private residences and it is important to respect the privacy of these people. We ask that you view the concrete from the street and do not impose upon the people living there. This service can only continue to be provided whilst people comply with these rules and are prepared to accept that some visits may be a waste of time because the job is simply not able to be viewed from the street. 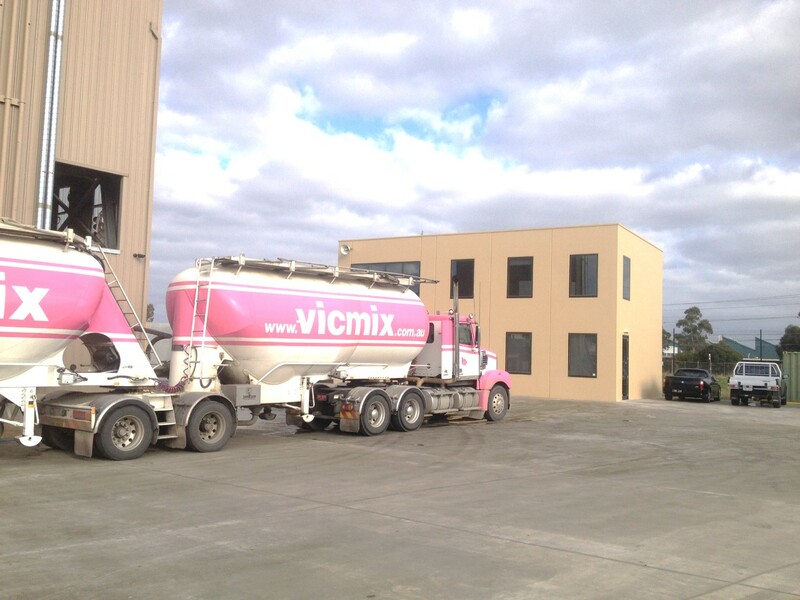 At VIC MIX, we understand that choosing a concrete finish is a personal experience and that the finished appearance is not always everything there is to making the best choice. You need the opportunity to touch and feel the texture of a surface. This is at times just as important as the way the finish looks or performs. For these reasons, we have invested considerable time and effort developing the VIC MIX Showrooms. The intention is that people can come in and experience the options available before making an informed choice. Normally small sample plates are available to borrow. However, strong demand for the panels and poor return rates has forced us to decline future issue of samples panels until such time as we can rebuild our stocks. We appologise for any inconvenience. Please feel free to down load the following brochures. Please be aware of the disclaimer associated with the use of these documents or any other printed documentation. 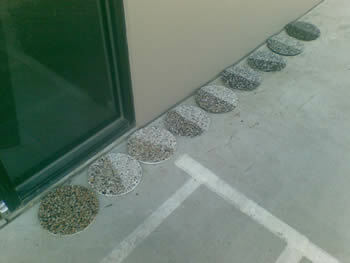 The samples displayed are indicative only of the finished concrete product, no guarantee of the colour or texture is given or implied by these documents. 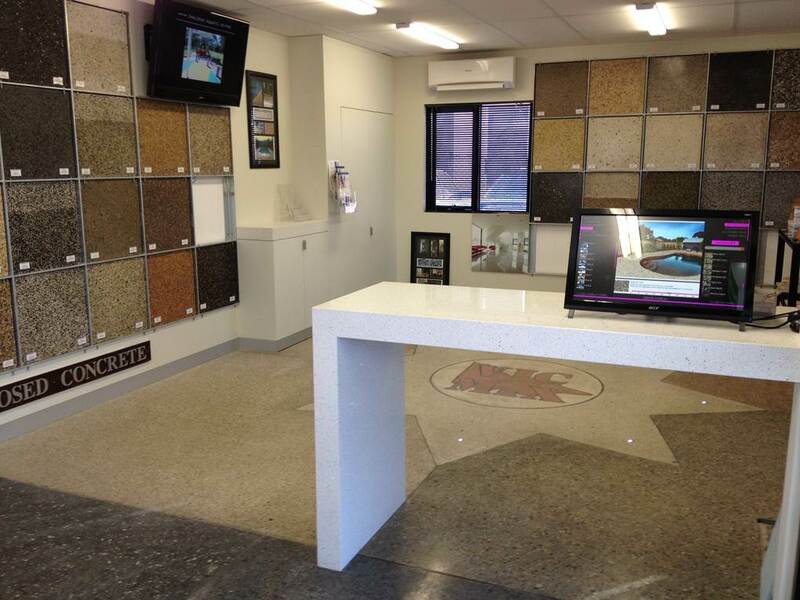 Please ensure you visit the Showroom and sight an actual concrete sample before making a final choice. Don’t despair! 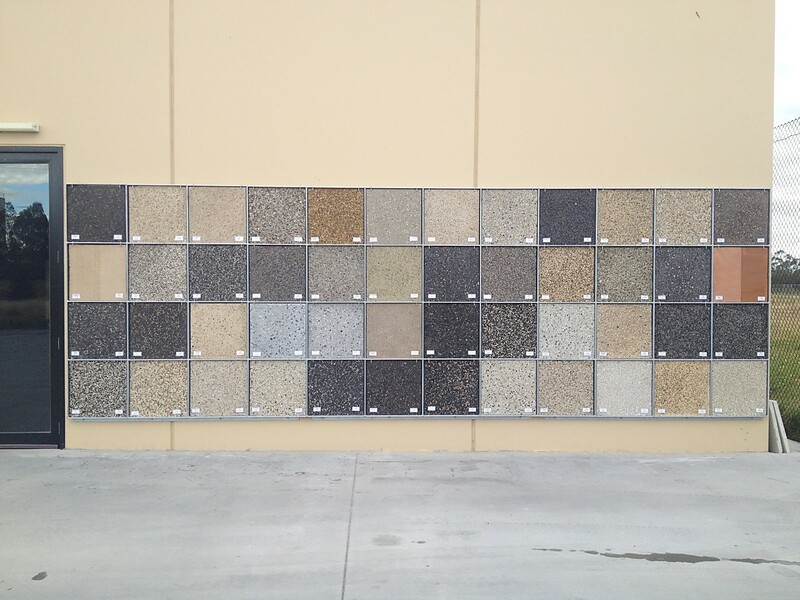 Ask us to make you a sample panel. Please enquire with our Office or friendly Sales Staff. It takes 4 to 5 days depending on sample orders. Look at existing samples to establish a starting point. Then try to describe the modifications you are looking for to more closely meet you requirements. We can help you with this process. If you have samples of colours or other building materials (tiles, bricks, render, etc) this may be useful. After some thorough discussion, we convert your requirements into a trial mix specification. This involves detailing the type and quantity of constituent materials to achieve the performance and aesthetic requirements. Following the Trial Mix Specification, we will weigh and measure all the ingredients with the accuracy necessary to ensure the finished sample panel will be representative of concrete manufactured on a larger scale. 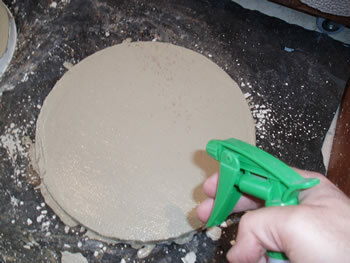 The ingredients are combined to form a homogeneous concrete mixture before being cast into a sample plate mould. 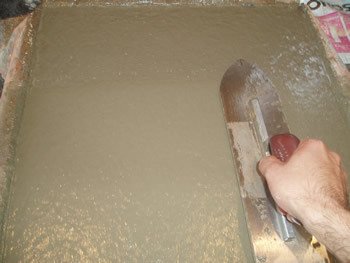 Some tamping and screeding actions are applied to replicate placement in the field. The concrete is then left to settle and begin to firm. Once the concrete has had time to stand and most bleed water has dissipated, the first trowel pass is attempted. The objective is to ensure surface flatness and that any high stone are turned and pressed below the upper surface. As the concrete continues to stiffen, further troweling is undertaken. The objective now is to create a tight closed surface and to achieve a point at which stiffening of the concrete will only allow the upper most surface of the concrete to be manipulated by the passing of the trowel. It is at this point that a surface retardant is applied to retard the setting of the upper most layer if an “Exposed Finish” is desired. Wait for the concrete beneath the surface to set firmly enough to resist washing. If you wash too early, you risk over exposure, uneven exposure, or holes. 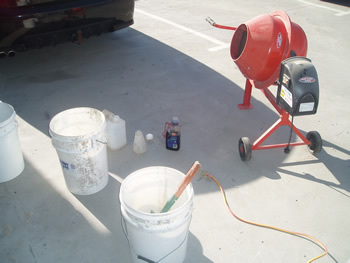 With a good quality surface retardant, concrete can be washed the next morning. 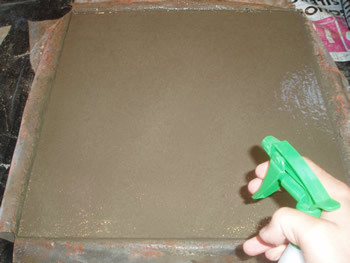 Wash the surface to remove the top layer of cement paste. Brushing helps with any stubborn cement residue on the aggregates. Light acid washing is also useful. Sand Blast to remove the top surface layer. 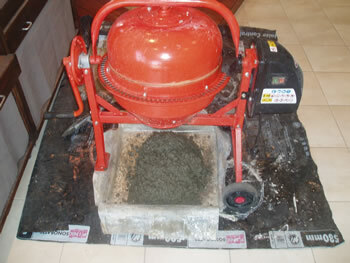 Blasting will remove cement paste and will gently abrade the aggregates. This helps to produce a softer texture to the touch. 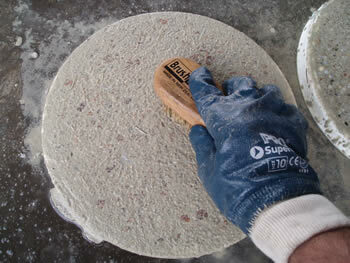 Grind and progressively polish the surface to a smooth dense finish. The higher the grit, the higher the quality of polish. 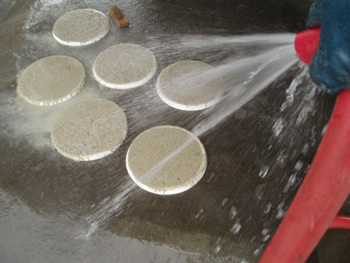 Allow the sample panel to try sufficiently before treating with a sealer. The sealer will enhance the finished appearance and protect the surface. As you can appreciate, there is a lot of work and effort that goes into producing each and every sample panel. In acknowledgement of this effort we may ask you for a cash deposit for creating each requested panel. 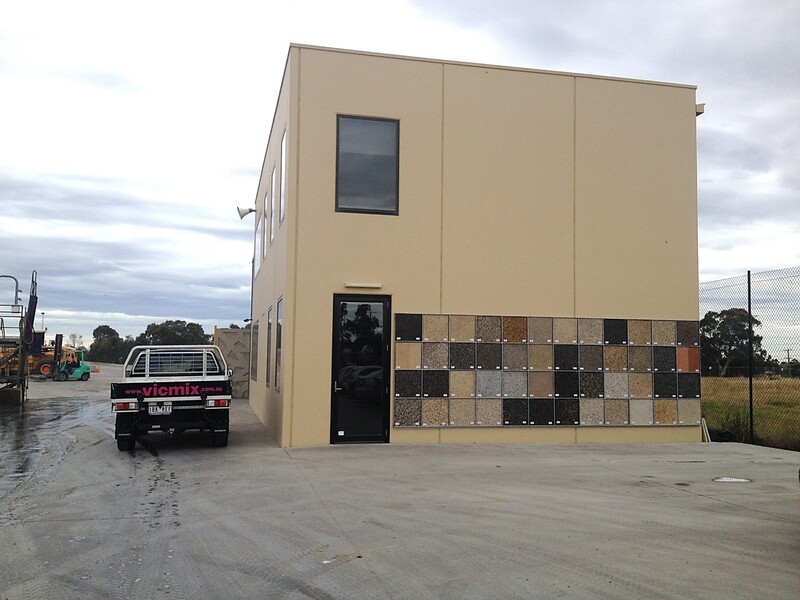 The deposit will be returned or deducted from the price of your concrete when it is supplied to your project. Also, consider that because we have made the complete sample, it is not reflective of the workmanship of the Concrete Placer that will build the real structure. This may have a significant impact on the finished appearance of the product.